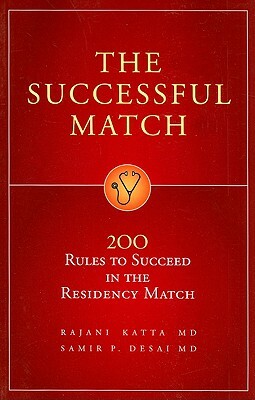 I finally had the time to review The Successful Match – 200 Rules to Succeed in the Residency Match by Dr. Samir P. Desai and Dr. Rajani Katta. One of the biggest stressors of medical school is deciding on a specialty and matching to a residency. If you thought the anxiety decreased after getting into medical school, think again. Some might say matching into a residency is an even more important than getting into medical school. 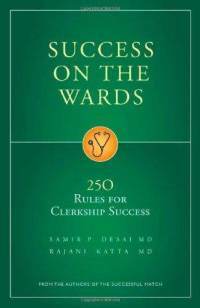 Similar to my previous review of Success on the Wards, I had mixed thoughts about this book while going through it. At times there was some invaluable advice that I wish I had known during my CaRMS application. 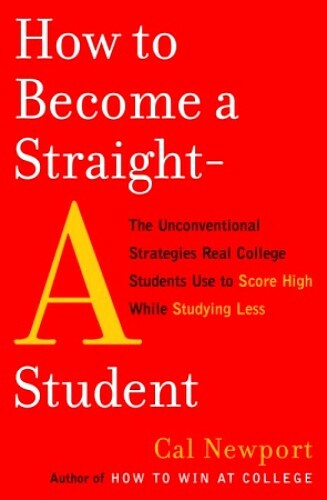 At other times, I found a lot of repetitive chapters that weren’t too pertinent. Let’s break it down the good and the bad. For starters, this book is definitely the most comprehensive, longest and most thorough book you will read about residency matching. Sitting at 400 pages long, it’s a book that takes some time to get through. It’s jam packed with references, statistics and interviews of program directors and residents. The best sections of the book are the chapters that give you specific and practical information information. For example the section on how to construct your CV is useful since most med students are pretty bad at CV’s due to the fact they have been in school for a long time. The personal statement section also shines through. The Successful Match backs up each rule and tip with sample essays that show the difference between a well-written and poor essay. Another highlight of the book is the interview section. The authors give their approach to standard questions like do you have any questions, what are your strengths and weaknesses. They also have a long list of practice questions that you can prep. They also give you a list of questions to ask program directors and residents so you too can get a better feel of each program. The advice here is generally sound. Like Rule #134 – Prepare with a Mock Interview, gives you a description on how to practice with friends and receive constructive feedback. It goes into body language and nervous gestures to avoid. Rule #160 – Show enthusiasm, is something I’ve seen people not do that weakens their candidacy. 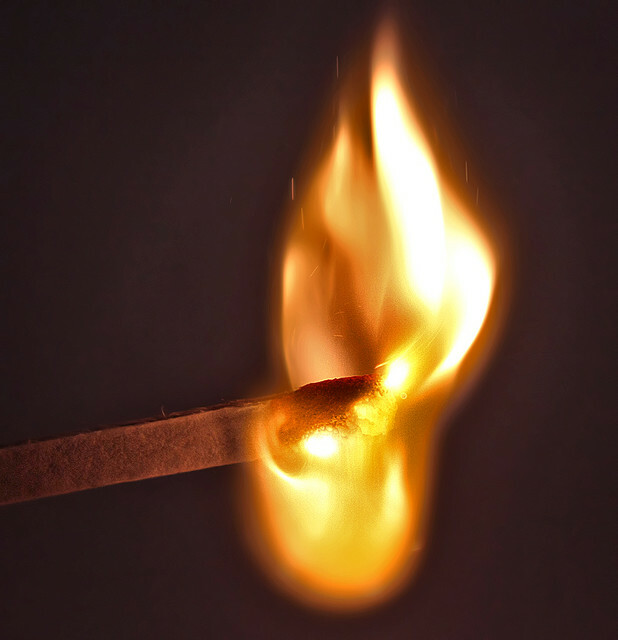 Due to its thoroughness and attention to detail, I find The Successful Match often misses the big picture. There are chapters that can sound really repetitive with lots of cited literature but not much substance. For instance, the section on different specialties, they interview different programs and ask which criteria they look at – importance of electives, AOA status, USMLE scores, reference letters, personal statement and research. Almost all of the replies are the same with clerkship grades ranking first followed by electives and letters of reference. Research almost always fare last as a deciding factor for resident selection. Which brings me to another chapter which I feel is out of place – there is a complete chapter on getting a competitive edge by doing research. The authors go through how to start a research project, how to find supervisors and how to get your work published. For something that matters so little when it comes to matching, I’m surprised they decided to include it in this book. Because of the way the book is structured, it can also be confusing to follow along. There are a set number of rules and tips too, and they often seem interchangeable. Some are ridiculously obvious such as Rule #24 – The Letter of Reference is important in some specialties and Rule #25 – Read the instructions. Often times the tips sound like rules or it feels as if it’s just reworded advice. Similar to Success on the Wards, I would give this book a mixed review. There are some hidden gems like Rule #30 – Choose a writer who actually cares about your career and Tip #25 – Ask an upperclassman who to work with. But these gems often get buried in deluge of information and background noise. It can be a hard read. What it lacks in a general approach/philosophy to residency match they make up in lots of statistics and specific details. Since residency application is such a diverse process depending on location and specialty, my best advice would be to ask those that have gone before you what worked for them. It’s extremely important to ask residents in the program you want to attend for specific details, they will be a much better source of information since it would be directed to your needs. I wouldn’t say this book is a must have like Pocket Medicine, but it can be something worth taking a look into if you have some time to spare. The book is probably best for someone currently going through the residency application process. For preclinical medical students, I would recommend something like Med School Confidential which has a more of a general overview of medical school and the residency match. 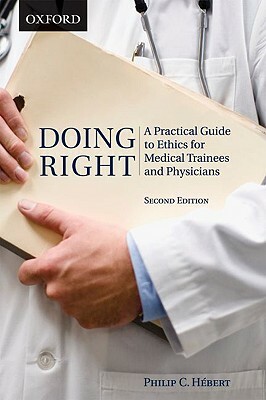 This book review was made possible by md2b who provided medaholic with a copy of the book to review. This is an American book, right? Did you find it especially applicable to Canada? Hi Josh, The general ideas for the American and Canadian match are the same. That means writing personal essays, finding reference letters, doing audition electives and interviewing are all the same. Some of the statistics only apply to American schools and things like AOA status do not apply at all. I don’t think there are any specific Canadian residency match books, but I found that the book more than applicable enough for CaRMS. The Canadian match is based on how you look, how much you “gel” with the program, and other superficial things. Knowledge and skill are but secondary considerations. Have you written the USMLE? Do you intend to or recommend it for IM keeners? If so, for Canadians, when did you/would you write it? I did not write the USMLE. My friends who did wrote Step 1 after second year, and wrote Step 2 during their final year. Thanks for the quick reply. I’m not even that fast and I’m not even a resident yet.